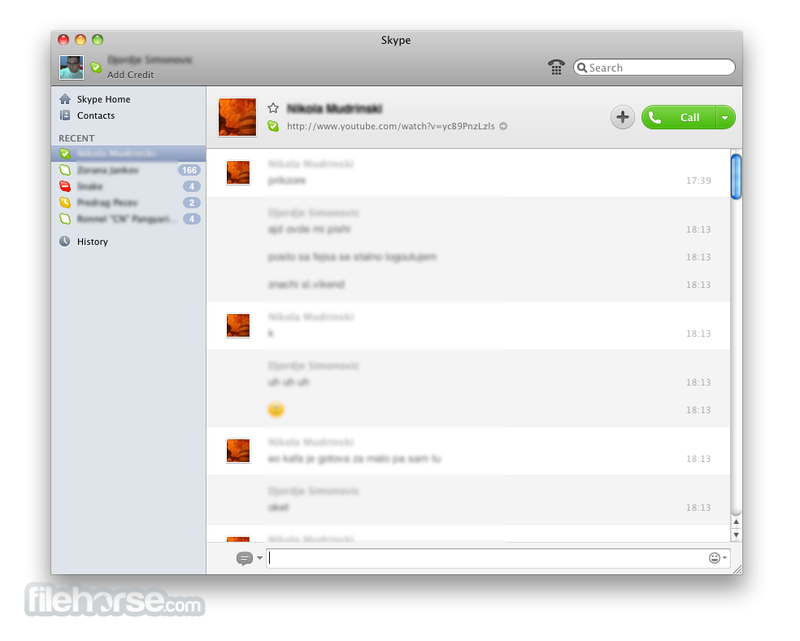 Skype for Mac is software that enables you to make free calls anywhere in the world. 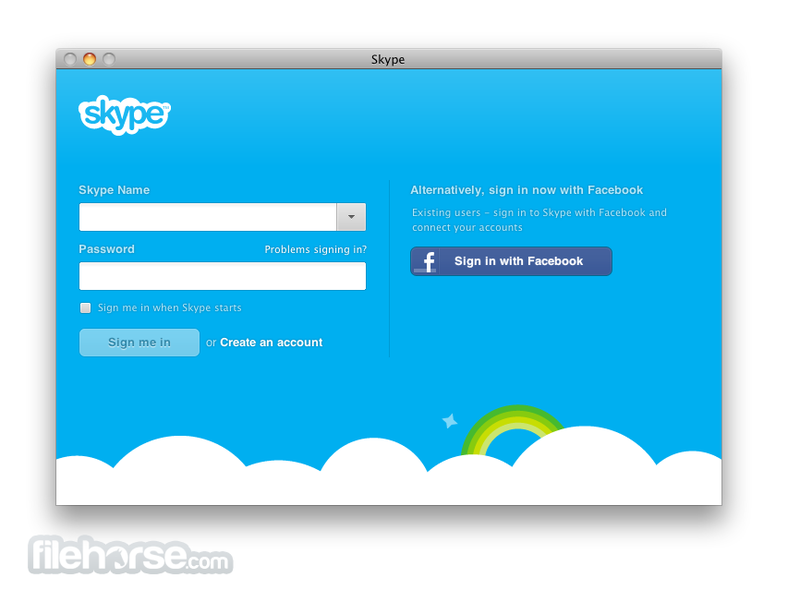 Skype uses P2P (peer-to-peer) technology to connect you with other users. It offers several features, including SkypeOut calling from Skype to regular and mobile phones worldwide, conference calling, and secure file transferring. You can also now share your screen with other users. 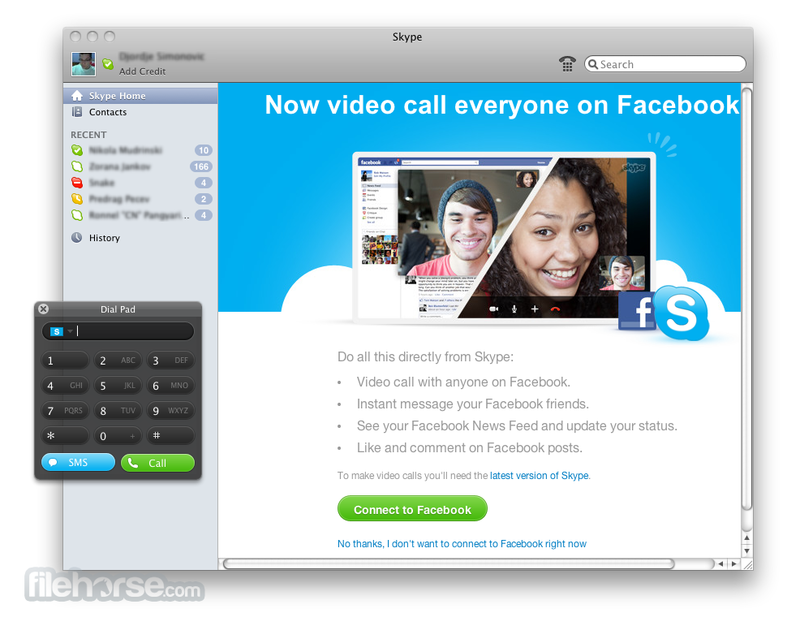 Skype calls focus on video and audio quality, and secure the calls with end-to-end encryption. 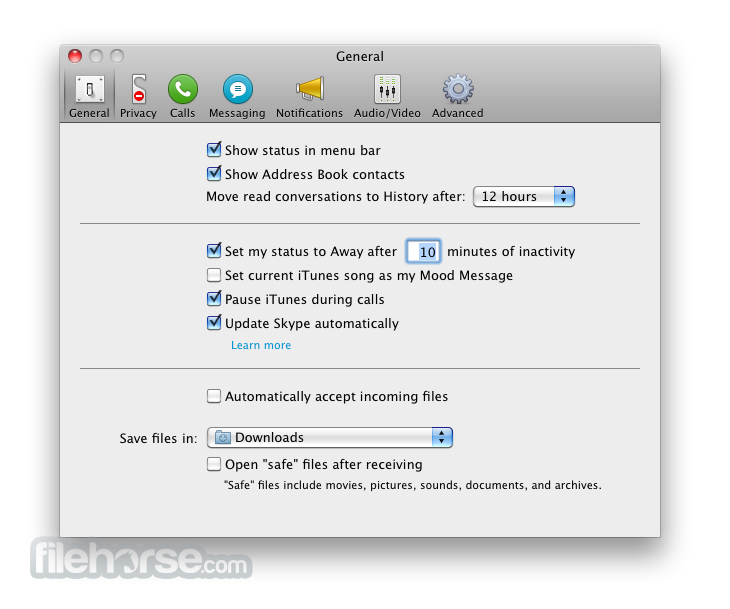 Enjoy free voice and video calls on Skype for Mac or discover some of the many features to help you stay connected with the people you care about. Choose the hue that fits you best to make your Skype experience your own. Bring your conversations to life by reacting to any message and expressing yourself with GIFs, stickers, and Mojis. Share photos, messages, emoticons and stickers in real-time. Whether you’re planning your next big adventure with the whole group or just catching up with your family, calling is now even better. Follow friends and family for snapshots of their week and react to them with just a tap. These memorable moments stay available for seven days. Buy tickets for a concert, find mind-blowingly delicious recipes or even plan your next trip around the world. You can also quickly find and drop useful information into the conversation. Reaching local businesses or friends who aren't online is easy. Call mobile and landline numbers at affordable rates with Skype for macOS to Phone. Share files and photos for free in an instant. Switch between calling and messages with one click, or do both together. Low-cost calls and text messages to mobiles and landlines.